There is a reason why some people are into cleansing tissue. It is easy to wipe off. it is the best item to use and even for lazy people~!! Nowadays people are looking more into comfortable living so there are diversity of cleansing tissue being launched. The price is kind of expensive but this is nearly perfect cleansing tissue. Most of the makeup artists like to use this and from lot of complements even some people who are into cleansing foam changed to the tissue. When you pull one out, the smell is very strong. However when you wipe it off there are no stimuli. Also compare to others, the finish touch is really nice. Right after using the cleansing tissue it feels dry but this finishes softly and there are no dry effect. Also the thickness of the tissue is just perfect to use. Also it clearly removes the products except for the Kiss me mascara again. Many model or celebrities like to use during their photo shoot. This stimulates the face less comparing to having to keep changing the makeup. It is easy to not to finish with water after so there is problem in deep cleansing. 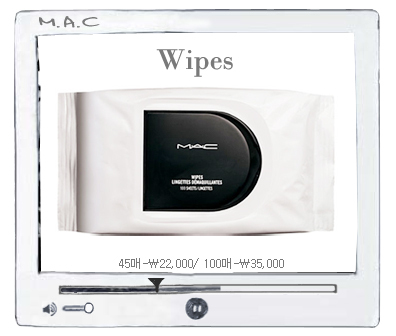 This wipes off the makeup on the surface only. So after using this I like to finish it off with Beauty organic soap. Instead of the expensive price I am not satisfy with the size. It isn’t enough to finish off with one tissue. So you have to divide the tissue into 1/3 or ¼ to use it wisely. After that using the other side of the tissue wipe off over all of the face. In terms of keeping, keep it by upside down this way it prevents from drying. However I tried keeping them upwards or downwards they aren’t no big different. If you use this 2 times a week it will be fine. There are two types one has 45ps and other have 100ps. It is much better to purchase 100ps. There are 120ps for only 6,000won. This is like having insurance in the hospital. The smell is really light and used for all types of skin. There are some people who are using Missha and Face Shop tissue but there is Chamzone! The container is different from other cleansing tissue. It is like baby’s wipe and refillable. The opening is small so it is hard to pull out compare to Mac but it prevents from the moistures to fly away. It clearly clears out the foundation and the cream blush. Compare to other brand, the tissue is thin however it is not too thin that would easily tear off. Any way it can remove all the makeup using only one tissue. When you are mascara lover, it is better to use mascara remover first than use the cleansing tissue. There is some cleansing tissue that easily stimulates the face. So be careful in choosing cleansing tissue.